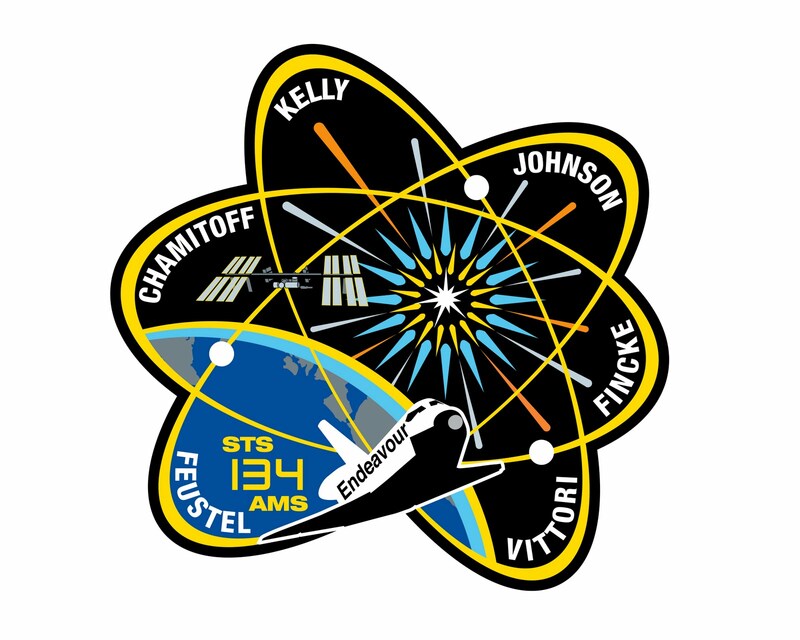 The STS-134 astronauts left the station Sunday night, after delivering the Alpha Magnetic Spectrometer and performing four spacewalks during Endeavour's final mission. Welcome home to the crew of Space Shuttle Endeavour STS-134. Mission well done! Space Shuttle Endeavour landed for the final time at NASA’s Kennedy Space Center after 248 orbits around Earth and a journey of 6,510,221 miles on STS-134. Endeavour’s main gear touched down at 2:34:51 a.m. followed by the nose gear at 2:35:04 and wheels stop at 2:35:36am. 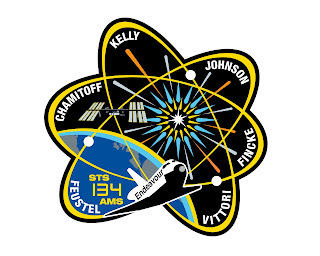 STS-134 was the 25th and final flight for Endeavour, which spent 299 days in space, orbited Earth 4,671 times and traveled 122,883,151 miles. Space Shuttle Endeavour completed its final flight by delivering the Alpha Magnetic Spectrometer to the International Space Station during the STS-134 mission. "I think we all should be really impressed how big and magnificent that space station is," said STS-134 Mission Specialist Mike Fincke at the crew press conference following landing. Describing their parting view of the space station where he served once as crew and once as commander, he said, "We were impressed; we were excited like five-year olds at a rollercoaster park." "What a great ending to this really wonderful mission," said Bill Gerstenmaier, associate administrator for Space Operations. In regard to the Alpha Magnetic Spectrometer, Gerstenmaier said, "They're getting great data from their instrument on board the space station. It couldn’t have gone any better for this mission." "We've had a lot going on here," said Mike Moses, space shuttle launch integration manager, "Being able to send Atlantis out to the pad and then go out and land Endeavour was really a combination I never expected to have." Mike Leinbach, space shuttle launch director, added, "It's been a great morning at the Kennedy Space Center." Endeavour landed at NASA’s Kennedy Space Center after 248 orbits around Earth and a journey of 6,510,221 miles. 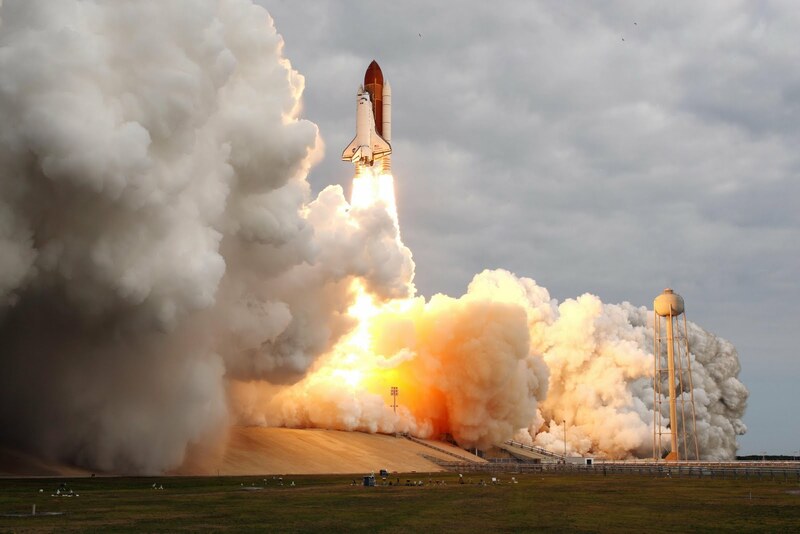 The STS-134 mission was the 25th and final flight for Endeavour, which spent a total of 299 days in space, orbited Earth 4,671 times and traveled 122,883,151 miles. Also overnight, Space Shuttle Atlantis completed its 3.4 mile trek from the Vehicle Assembly Building to Launch Pad 39A and was secured to the launch pad at 3:29am. The move began Tuesday at 8:42pm and took approximately 7 hours. Sorry I have not been on top of all the going-ons with the spacewalks and overall mission of STS-134 and the rest of the better news out there that I love to keep up with... but I have been in Hospital from Saturday - Tuesday afternoon and been resting and away from the computers until now. Reason I was gone so long was because I was having a hard time breathing, again... and having all the same problems just like the way things happened to me leading up to my last 2 Heart Attacks. This time though, I made sure not to wait around until I had another one until I got something done about it. Well that’s about it for now and I should be getting back into the swing of things over the next few days. About today’s Video from SPACE: A video recap of flight day 2 of the STS-134 mission of Space Shuttle Endeavour to the International Space Station. About today’s Video from SPACE: A video recap of flight day 1 of the STS-134 mission of Space Shuttle Endeavour to the International Space Station. Space Shuttle Endeavour roars into orbit from Kennedy Space Center's Launch Pad 39A as the vehicle embarks on its 25th and final spaceflight, the STS-134 mission. Commander Mark Kelly leads the six-person astronaut crew. Liftoff on May 16th occurred on time at 7:56am CDT. I guess by now everyone knows that this will be the final Mission/Space Flight ever for Space Shuttle Endeavour. Sadly... this will leave us with just one more flight, ever... for the Space Shuttle Program and then... that’s it! Manned Space Flight will END, as we know it, after the upcoming STS-135 Mission later this year. And YES... it is all going to end with the HELP of President Obama and the likes of other non visionaries like he. My heart truly breaks from the thought that we have let our Space Program go down the tubes and without any kind of outcry from the American people. NONE! In a nutshell... sad days are ahead my friends if our future goals for Manned Space Flight do not change at the top and rapidly SOON! For now, I would like everyone reading this to look around them, right now... and see all the things we have and know today all because our Space Program was pushing the limits, at all ends of Manned Space Flight. This pushing the limits of Manned Space Flight... is ending, for good, this year. And God Speed to NASA in getting them all up there and back... safe and sound. The rotating service structure (RSS) on NASA Kennedy Space Center's Launch Pad 39A is fully open and moved away from space shuttle Endeavour. The RSS began moving at 10:44 a.m. CDT, about 15 minutes ahead of schedule. The retraction was complete at 11:24 p.m. Final preparations continue for Endeavour's 7:56am CDT Monday liftoff. Cockpit switches will be configured this afternoon, while Commander Mark Kelly and his crew will begin their launch sleep schedule at 3 p.m. The shuttle's electricity-producing fuel cells will be activated at 4:46 p.m. and managers will meet at 10 p.m. to give a "Go-No Go" to load the External Fuel Tank with liquid hydrogen and liquid oxygen. Coverage of the fuel loading begins at 10:30 p.m. on NASA TV and at www.nasa.gov/ntv. The tanking process is scheduled to begin at 10:36 p.m.
We have Liftoff folks and what a picture perfect launch it was! Liftoff of Space Shuttle Endeavour! Space Shuttle Endeavour and its crew of six astronauts are headed for space, ready to begin their 16-day mission to the International Space Station. The climb to orbit takes about 8 1/2 minutes. Following a relatively smooth countdown, the weather cooperated leading to an on-time liftoff from Launch Pad 39A at NASA's Kennedy Space Center in Florida at 7:56am CDT. NASA TV will air a post-launch news conference at no earlier than 9am so click it out at link below. Starting from this moment on... 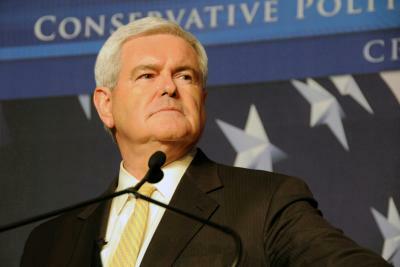 I give Newt my full support and shall do all I can do in helping him to become the next President of the United States. 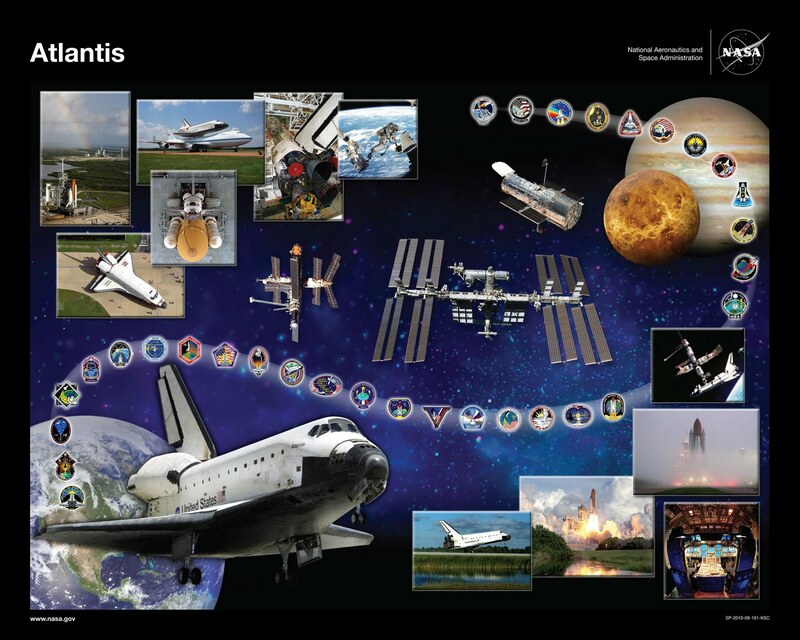 This is a printable version [view link below] of Space Shuttle Atlantis' orbiter tribute, or OV-104, which hangs in Firing Room 4 of the Launch Control Center at NASA's Kennedy Space Center in Florida. In the lower-left corner, it features Atlantis soaring above Earth and threaded through the design are the mission patches for each of Atlantis' flights. Atlantis' accomplishments include seven missions to the Russian space station Mir and several assembly, construction and resupply missions to the International Space Station. Atlantis also flew the last Hubble Space Telescope servicing mission on STS-125. In the tribute, the planet Venus represents the Magellan probe being deployed during STS-30, and Jupiter represents the Galileo probe being deployed during STS-34. The inset photos illustrate various aspects of shuttle processing as well as significant achievements, such as the glass cockpit and the first shuttle docking with Mir during STS-71. The inset photo in the upper-left corner shows a rainbow over Atlantis on Launch Pad 39A and shuttle Endeavour on Launch Pad 39B at Kennedy. 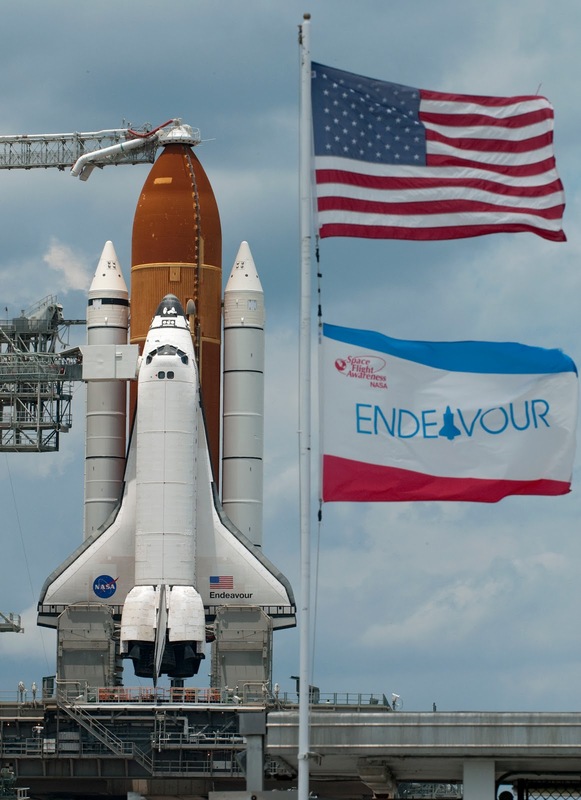 Endeavour was the assigned vehicle had Atlantis' STS-125 mission needed rescue, and this was the last time both launch pads were occupied at the same time. The stars in the background represent the many people who have worked with Atlantis and their contributions to the vehicle's success. Five orbiter tributes are on display in the firing room, representing Atlantis, Challenger, Columbia, Endeavour and Discovery. 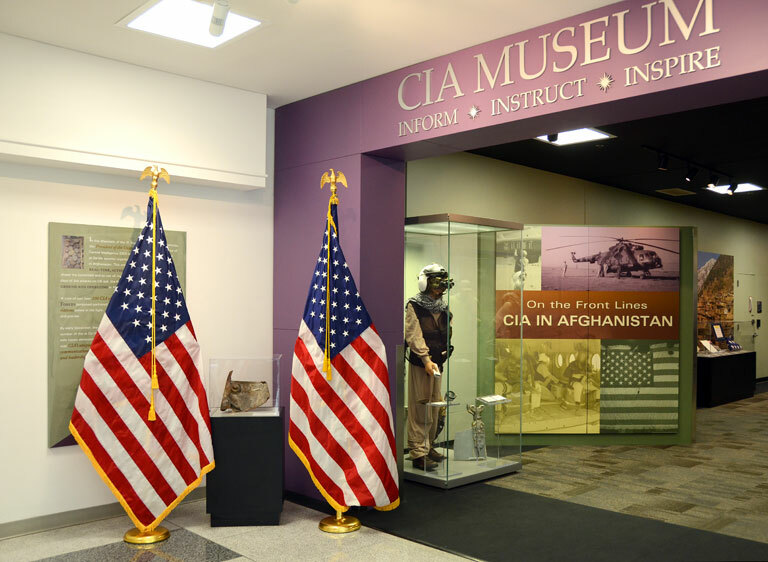 To mark the death of Usama Bin Ladin—the man who ordered the 9/11 attacks—the CIA placed flags at its Headquarters next to three artifacts from the attack sites, including this safe door pulled from the rubble of the World Trade Center. SEYMOUR JOHNSON AIR FORCE BASE, N.C. - The killing of Osama bin Laden “could be a game changer” that affects the situation in Afghanistan, Defense Secretary Robert M. Gates said here today. Still, it will take time before the situation clarifies, Gates told about 450 airmen at the 335th and 336th fighter squadrons. Officials may know in six months or so how bin Laden’s death has affected al-Qaida operations in Afghanistan and elsewhere, Gates said. The secretary described U.S. relations in the region as complex. Using Pakistan as an example, the secretary said he would have been astounded if someone had told him two years ago that Pakistan would have 140,000 troops on its western border with Afghanistan and was going to drive the Pakistani Taliban and al-Qaida from South Waziristan and the Swat Valley. “I would have said that’s not going to happen, but it has,” he said. Pakistan has pulled troops from its border with India and has taken thousands of casualties in the fight against the terrorists. Pakistan also allows a huge percentage of the logistics sent to troops in Afghanistan to flow across their country, Gates said. The United States and Pakistan are firm partners in the fight against terrorism, Gates said. However, he added, the Pakistanis may be concerned that United States’ current interest in the region may diminish with time. Pakistan and the United States have to keep working on their relationship, Gates said. At the tactical level -- across the border with Afghanistan -- the relationship is good and getting better, he said. U.S. and Pakistani forces take turns being the “hammer and anvil” with the Taliban stuck in the middle. “I would say it is a relationship we just have to keep working at,” he said.
. Lots of reports, videos, photos at this link too! Click out the FULL transcript HERE. NOTE: Above link also has the 5 Bin Laden videos for you to view or download or both! In his first and only interview since the killing of terrorist leader Osama bin Laden, President Barack Obama talks to Steve Kroft about the intelligence and preparations leading up to the operation in Pakistan. President Obama on the mission to kill bin Laden .